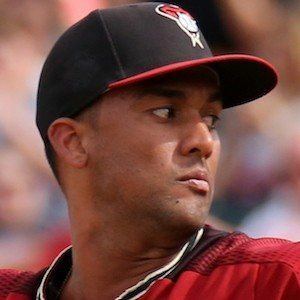 Right-handed pitcher for the Arizona Diamondbacks since 2013 who had begun his professional career in the Atlanta Braves organization in 2011 and 2012. He made his MLB debut in June of 2011 after being called up from the AA Mississippi Braves in a spot start. He was traded from the Braves along with four other players to the Diamondbacks for Justin Upton and Chris Johnson after the 2012 season. He was born in Las Tablas, Panama. He made his MLB debut after Tommy Hanson was scratched from what was supposed to a start for the Atlanta Braves.